Titan entered the smart wearable market last year with the Titan Juxt, and followed that up with a safety oriented smartwatch from its subsidiary Sonata. 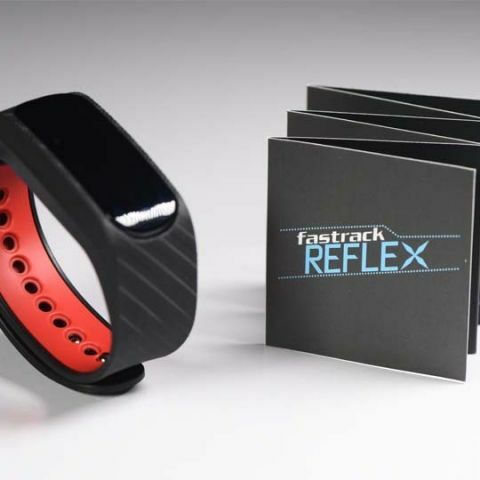 Now, in 2017, Fastrack, another Titan subsidiary has released an all new wearable - the Fastrack Reflex. 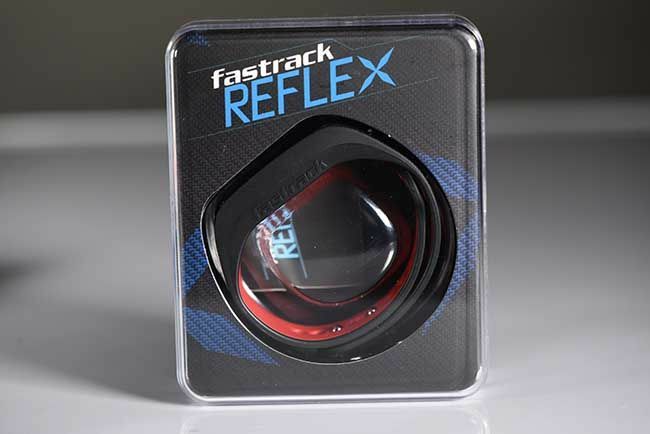 The Fastrack Reflex is priced at Rs. 1995/- where it competes directly with the likes of Mi Band 2 and GOQii Life. But how does the Reflex fare in the now well populated activity tracker market in India? Let us find out. The design of this band is the first thing you’ll notice about it. In fact, we wouldn’t be too wrong in saying that it is the strongest suit when it comes to Fastrack and they have delivered on the expectations. The band is made of a rigid rubber-like material that sports a textured finish which gives it a very unique look. The size of the band itself is a differentiating factor. 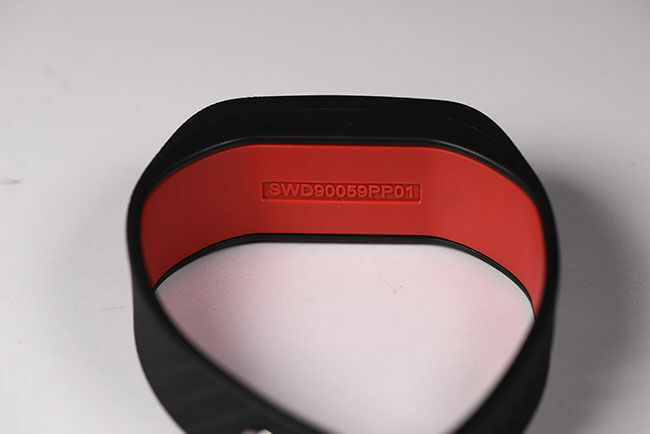 The width is closer to that of the Microsoft Band, as compared to the generic design in fitness bands that is seen in most competitors. The build uses the locking mechanism to accentuate the looks as well. The band has a metallic latch in the standard Fastrack logo design that has two metallic prongs on the other side, which you will need to poke into the appropriate slots based on your wrist size. The metallic latch design adds an element of style to an already well designed band. In terms of build quality, the band leaves no stones unturned. The rubber material hits the right balance between being rigid and flexible and in the few days that we have been wearing it for, we’ve experienced no trouble with the strap whatsoever. To be fair, the rigidity does become an issue when you are trying to release the capsule from the strap to charge it, but in a few tries, you will be able to master the technique without risking damage. 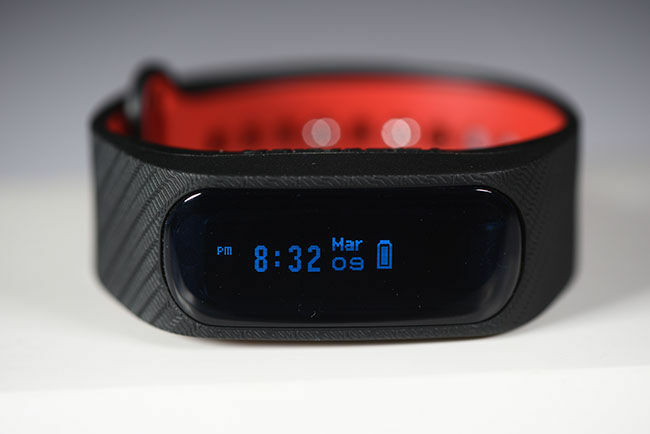 Coming to the capsule, it is bigger than you generally expect from a fitness band these days. While that does contribute to the bigger design which looks appealing in a way, it might be a bummer for those looking for a slim and sleek band as their next fitness wearable. For that, the Mi Band 2 or GOQii Life are both better choices. Also, the capsule orientation is fixed - thanks to a couple of slots in the band itself. So regardless of whether you’re wearing it on your right hand or your left, the strap side with the clasp will always be on the left. That does take away the freedom to choose its orientation depending on which wrist you’re wearing it on. The display is also different when it comes to the information shown. Keeping in terms with the watchmaking expertise that they have, they have also put in day and date into the display, which makes it quite informative as a watch itself. When it comes to step tracking, the performance of the Fastrack Reflex is pretty standard. That is to say, it does detect your steps alright, but it also detects steps in moving vehicles and other activities where your wrist is involved. 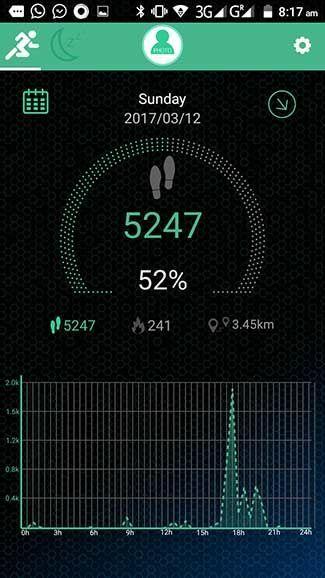 The detection is fairly accurate with a standard difference of 30-40 steps constantly with step tracking on Google Fit on the connected smartphone. Only on a couple of occasions we noticed the band actually not detecting false steps on automobile rides on smooth roads. For sleep tracking, you actually have to go into the app and set Auto Sleep tracking to ‘On’. 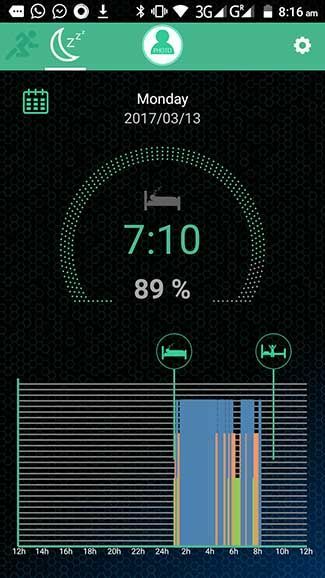 Without this, the band will did not detect sleep in the duration of our usage. Even after that, you have to manually set a particular time for sleep detection, based on which the app will generate a daily sleep graph, which is pretty useful and definitely more informative than simple markers like ‘Deep Sleep’, ‘Light sleep’ etc. This is a downer since competing bands like the Mi Band 2 offer actual sleep tracking, without any manual intervention. But in the case of actually detecting, sleep the band does a fairly good job with a detailed graph showing you your sleep levels throughout the time you had set earlier. Although, it would have been great to be able to zoom into the graph to see more granular data, as apps like Google Fit allow. As you can see in the image below - while the data is accurate, the sleep and wake up times are manually set and not detected automatically by the band. The app could use some work. The manual sync method is to refresh the data screen by pulling it down, which will, in turn, update the numbers from the band. The auto sync, however, was quite unpredictable. One some occasions, the band and the phone synced the data the moment the app was opened, while on another, it actually took a full unpairing and repairing to get the data synced without using the manual method. And even there, the app could not detect the band on a couple of occasions once unpaired - both on Android and iOS. The tracker also supports vibrating alarms that can be set from the Reflex app. It also provides sedentary alerts, reminding you to get up and get moving if you've been stationary for too long. The battery on the device is claimed to last more than 7 days, and in our few days of usage, the claim does appear to hold up. And when your battery is drained, charging is quite easy with the capsule supporting direct USB charging. A very useful feature that the band does better than other competing devices is the call and notifications alerts. The call alert is especially useful as it shows the full number and, if available, the contact name. Although, this feature has its own share of problems too, with the band being incapable of showing the full contact number due to the leading ISD or STD code. Also, quite a few times the app was not really able to send the notification to the band, due to an apparent lack of connectivity. In this front, competing bands like the Mi Band 2 perform clearly better. A particularly big pain is the loss of data at midnight. The steps taken between the last time your app synced with your band and midnight are lost and there is no way to get it back. Syncing the app post midnight only syncs the number of steps shown on the band, which are steps for this calendar day. 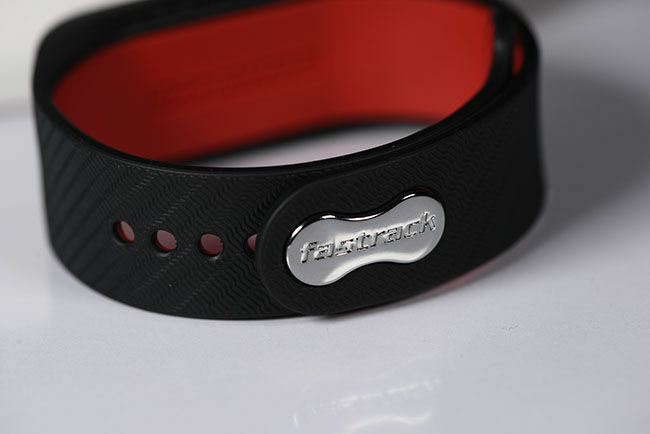 If you strictly look at functionality, the Fastrack Reflex is pretty much your standard fitness tracker. In fact, it doesn't boast of abilities like a heart rate tracker and automatic sleep detection. While the latter needed by most of us, how many of us actually do use the former, especially if it turns out to be inaccurate? On the other hand, the Fastrack Reflex sports a very unique look that sets it apart from the competition. So if you do get one, be sure that it will be noticed. In the time that we spent with the device, it was actually noticed more than any other fitness band we've tried so far. So if you're not strictly looking for a heart rate sensor and don't mind manually entering your sleep-time, the Reflex is a fashionable choice when it comes to fitness bands. Is there any free application for windows full image backup? is there any pendrive of 64 GB ?